CEUs are Continuing Education Units. The purpose of CEUs is to provide job-related professional development and growth experiences. 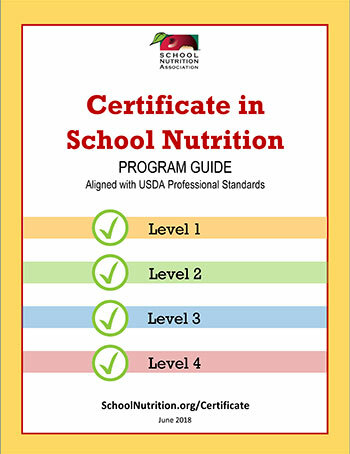 Annual training (earning CEUs) is a requirement for both USDA Professional Standards and maintaining your Certificate in School Nutrition or SNS Credential. CEUs MUST be a minimum of one hour in length. If audited, it will be necessary to submit documentation of 45 CEUs for the 3-year credentialing period. We suggest 15 CEUs per year for alignment with professional standards. SNA encourages you to participate in 1 hour trainings to earn CEUs for the Certificate Program. SNA is also aware of the challenges finding appropriate training, so SNA has recently updated the allowable CEU minimum for the Certificate Program. 1 Continuing Education Unit (CEU) = 1 hour of training for Professional Standards. CEUs CANNOT date back further than five (5) years from the date you apply. Renewal CEUs must be completed during the certificate year. Two 30-minute trainings within the same subtopic code, within the same year will be accepted as one CEU. Four 15-minute trainings within the same subtopic code, within the same year will be accepted as one CEU. Subtopic codes can be found in the USDA Professional Standards Learning Objectives, or the SNA Professional Standards Training Guidelines. student tastes, and promotional events. For more information on earning CEUs, visit the new How to Earn Training Hours for Professional Standards page.